In honor of St. Patrick’s Day we have chosen three Tomie dePaolo books for you. 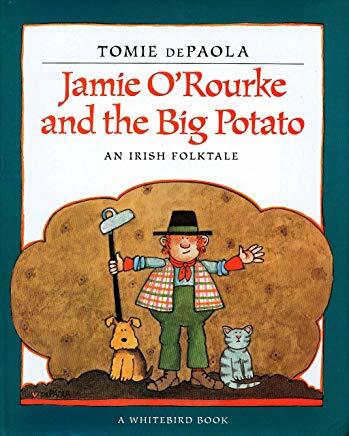 Fin M’Coul: The Giant of Knockmany Hill, Jamie O’Rourke and the Pooka and Jamie O’Rourke and the Big Potato. 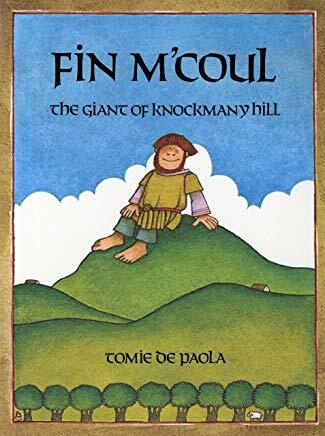 Fin M’Coul has always been one of my favorites since reading it to my 1st grade class over 20 years ago. Fin and his wife Oonagh (both giants) live on Knockmany Hill, one day Cucillin the Giant comes to find Fin, as he is the only giant that he hasn’t been able to beat. Oonagh helps Fin and they are able to outsmart Cucullin. It’s a wonderful tale of love, mischief and adventure in Ireland. Jamie O’Rourke is the laziest man in all of Ireland, his wife Eileen is always doing all the work. Both of these stories are fun to read, and have good endings to teach a lesson. It doesn’t matter which one you choose, all of them will definitely be enjoyed! 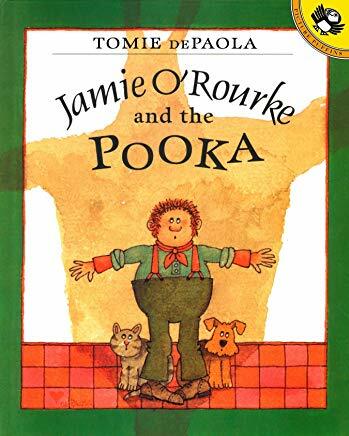 Be sure to read these books aloud, and to use your best Irish accent!